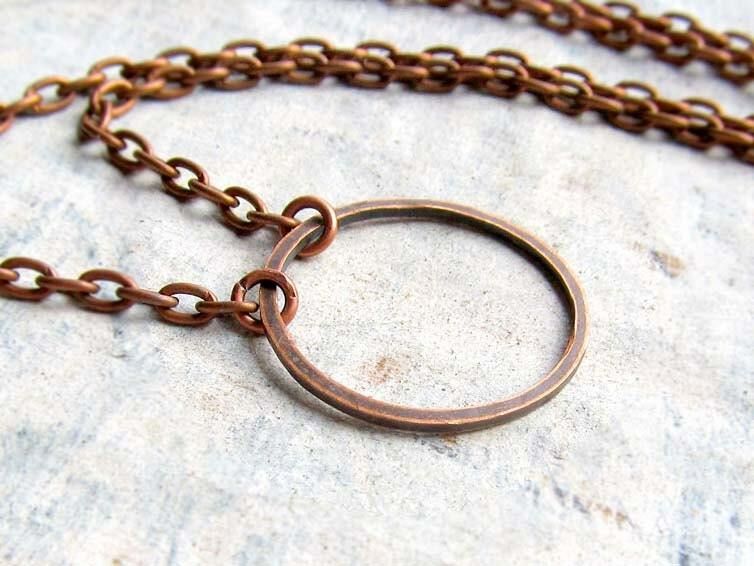 Antiqued copper circle necklace is the perfect grab and go necklace or wear it layered with your favorite necklace. Designed with a hammered antiqued copper circle dangling from a antiqued copper chain. You choose length, 16, 17, 18, 19 or 20 inches long. If you desire the necklace longer, just let me know in the message to seller box at checkout. Your circle necklace will arrive via First Class mail in a pretty silver foiled gift box. Perfect little choker. I absolutely love it!! !